It's been a while. I released Duel.TF to the public a little over a year ago, and in that time not much has changed. I had plans to do more with the site, but left you guys in the dark, and I apologize to anyone who’s been waiting for something to happen. I don't have that great of a reason other than I lost interest in TF2 and casual programming for a while and wasn’t sure where I wanted to take the website. After a long unannounced hiatus, and with people still showing interest in the site, I’ve been getting into TF2 again and back into working on Duel.TF the past months. I’ve redone a good amount of the site, with many new features and changes that I think you guys will enjoy, and hopefully bring some life to the site. So, what’s coming? I will be releasing videos later of the new features in action. For now, you can read up on them below. The current homepage of Duel.TF is a bit messy and can be a bit discouraging to new comers to see a whole list of empty lobbies right on the front page. This makes it hard to organize duels and discourages people to stay and wait, which is why I decided to change the layout of the website with a "Matchmaking" button to quickly hop into a game, and a button to create a lobby for those who want to organize one. 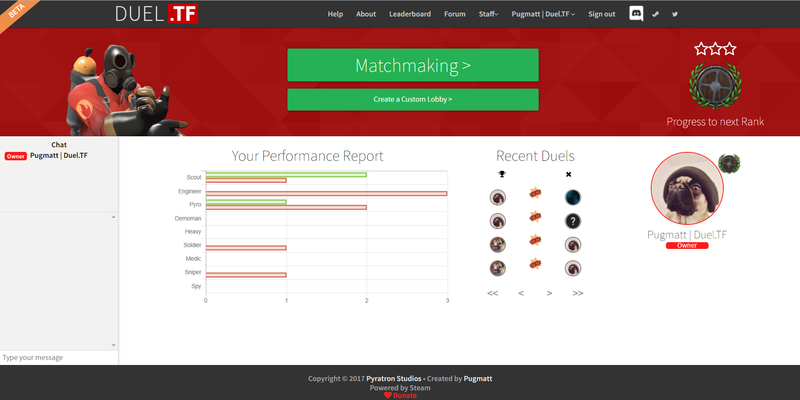 The homepage will also now display your duel stats, a log of past duels, rank progress, and more! The new version of Duel.TF will include matchmaking, allowing players to be put into a queue to auto matchup with another player. This will hopefully make it easier and faster for players to find a game, rather than sitting in an empty lobby. For every win, you receive a star. (As displayed on the homepage) Once you reach the needed number of stars, you rank up to the next level. There’s 5 ranks available. 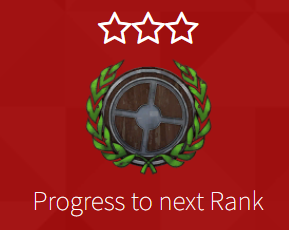 After 5 ranks, you will prestige and be reset to rank 1. 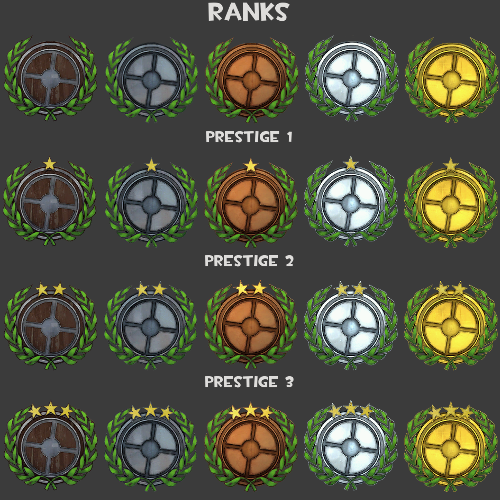 Each prestige adds one star needed to rank up. Once you prestige once, you will begin to also have the effect of losing stars for lost games. You will only lose stars until you get to 0 for your current rank, you won’t have to worry about losing ranks. Ranks are only affected by games played in matchmaking. Custom lobbies will not affect your rank. With matchmaking only allowing you to duel with random players, you will still be able to organize a duel with a friend using Custom Lobbies. Custom Lobbies allows you to customize settings as well for the duel, including the ability to change the allowed items, classes, what score to play to, and more! The players with the highest rank, kills, and wins will now be displayed on a "Leaderboards" page. Although a small change, you will now be able to chat with other people currently on the site. The chatbox stays on every page you go on except lobbies. That about wraps it up. Other changes I've been working on includes general bug fixes to get the website running better and the servers running smoother. I'm exciting to see what you guys think and can't wait for you guys to try it out! If you have any suggestions or questions about any of this, I would love to hear your guys' thoughts. As of now the ETA for the release of the new features is sometime in April, but this is flexible to change. But, if you are anxious to try the new features before then, I will be holding beta testing sessions to allow people to test out features. If you are interested in attending these beta sessions, click here to join our discord server to be alerted and to take part in these sessions when they come up. Beta testing sessions will probably come up randomly, so keep be sure to an eye on the discord channel! For general updates, I'd recommend following the Twitter Account, and again to join our discord server if you want to talk to me directly or the community.